Reading the account given by Stephen Lloyd, MP (Herald, February 1) concerning his actions in the recent parliamentary debate on our intended withdrawal from the European Union it would appear that he has much in common with our Prime Minister in that they have both moved from the position of being lukewarm supporters of Remain to that of hardline Brexiteers. He justifies his actions by reference to what appears to have been an extremely rash promise, which I believe he made at a public meeting held shortly before the referendum in 2016, that in the event of the Leave side winning a majority he would support a Withdrawal Bill (apparently no matter how disastrous the terms might be) and would not back a second referendum in any circumstances. I cannot recall Mr Lloyd having at any time repudiated this manifesto pledge and was not aware of the promise to the people of Eastbourne to which he frequently refers when I was happy to tramp the streets in 2017 delivering leaflets in support of his candidature. 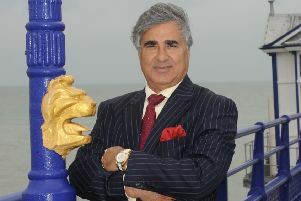 Given the contradiction between his promise to the people of Eastbourne and the promise contained in the General Election manifesto possibly the most honourable course of action for Mr Lloyd would be to resign his parliamentary seat and fight a by election as an Independent, allowing the local Liberal Democrats to choose an alternative candidate.